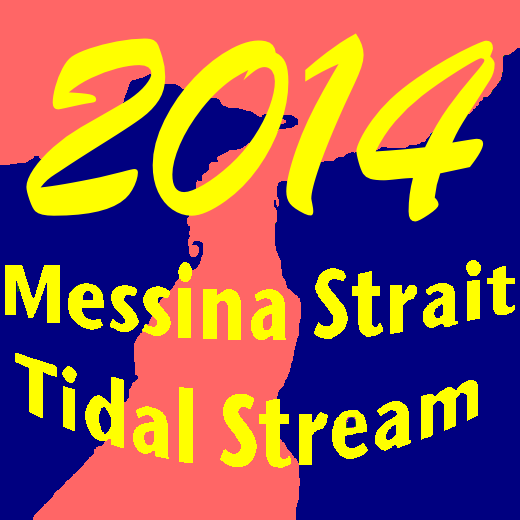 This application calculates the whole year of 20134, the tidal stream intensity and direction for Messina Strait. Questa applicazione calcola per tutto l’anno 2014 l’intensità e la direzione delle correnti dello Stretto di Messina. Mi dispiace ma per il momento non é prevista nessuna release per Android. Would you be able to help us obtain a detailed tidal chart for the Messina Straits for 19/10/2014? On October 19 on Punta Pezzo the northbound current start at 00:40 and it reaches the maximum around 03:00 with 1,2 knots, then it start to decrease until 05:10 where the current is zero, and it start to changes to southbound. At 08:10 the southbound current has the maximum value of 3,06 knots, after this time it starts again to decrease until 11:40 when the current is zero and start again the northbound which the maximum is at 15:00 with 2,02 knots. The next slack of current is at 17:30, the next maximum southbound current will be at 20:45 with 4,02 knots. The following slack current will be on October 20th. For the details chart of the day, the only way is to get the app and you check the secondary area page in which there are 12 values every 5 minutes with the exact values of the current as per tide table. If you need some other details or help you can contact me again here or in the e-mail address.